Built in 1966, by the Pacific Towboat Company of Anacortes, Washington (hull #42) as the Omer Foss the Foss Maritime Company of Seattle, Washington. In 2004, the tug was acquired by the Western Towboat Company of Seattle, Washington. Where she was renamed as the Hornet. Powered by a single, Caterpillar 3406 diesel engine. With a Twin Disc 514 reduction gear, at a ratio of 6:1. Turning a single, 60(in) by 47(in) fixed pitch, propeller. For a rated 360 horsepower. Her electrical service is provided by a Portale/Inverter generator. 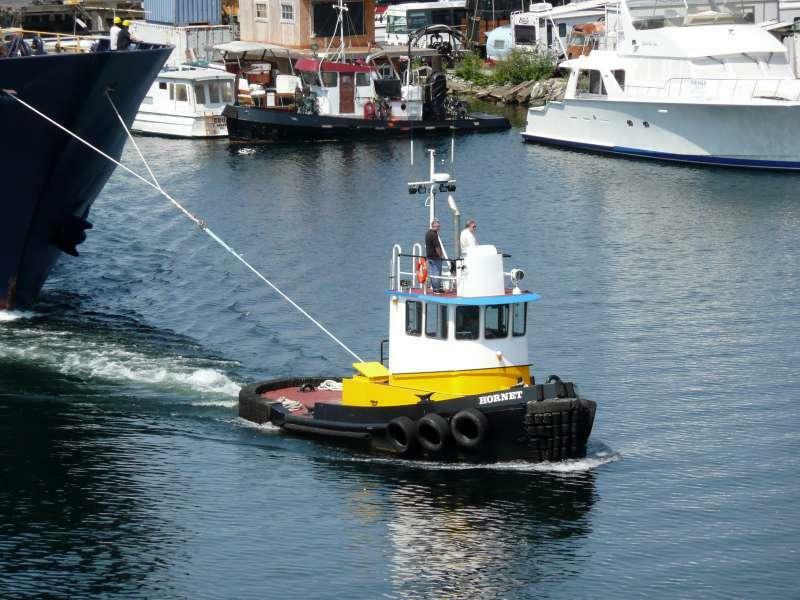 The tug's capacities are 2,000 gallons of fuel, and 25 gallons of lube oil.